Process server software helps agencies keep track of their money, and legal documents while reducing time spent manually filling out forms. By using Foxit WebPDF Viewer, PaperTracker ensures legal documents are displayed exactly as they are intended, no matter what browser or device the client is using. Service of process happens across the country, but every state and every court uses different documents and forms. PaperTracker, a new product from Caffeine Code Inc, aims to streamline the process and make it more convenient for agencies, servers and clients. Manually filling out forms takes up a disproportionate amount of process servers’ time. One method to improve efficiency is to recreate these forms electronically so they can be filled in from a database. The variation in process forms between courts, however, means this pushes the time consuming work to developers, or that a single agency can only work with a limited number of courts. PaperTracker instead focuses on the individual fields rather than the entire form, programmatically filling in the majority of the form from the information provided. This method fills in 80% of the form automatically, with just a small amount remaining to be manually input, whether the document is served from Connecticut or California. As more process serving work is carried out on the go, compatibility with mobile devices and smartphones is an increasingly important feature. Foxit WebPDF Viewer offers some of the highest fidelity PDF rendering available across all devices, a major factor in choosing it for PaperTracker. Deciding where to assign a limited budget is a constant struggle for any startup, but scrimping in the beginning can cause headaches further down the line. Choosing reliable components from the beginning clearly pays off dividends. 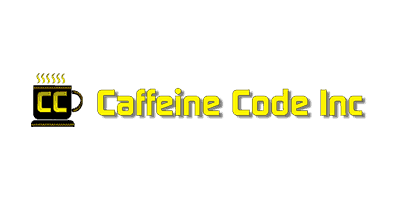 Get in touch with us below to find out more about Caffeine Code’s success.